This is a Divine bar or those serious dark chocolate lovers. The recipe gives you the bold, tongue-twisting taste of 95% chocolate with every bite. Like any good dark chocolate, this bar is made without dairy for a truly rich, dark chocolate taste. Each bar is made in Germany using ingredients that are acquired from FairTrade certified sources. 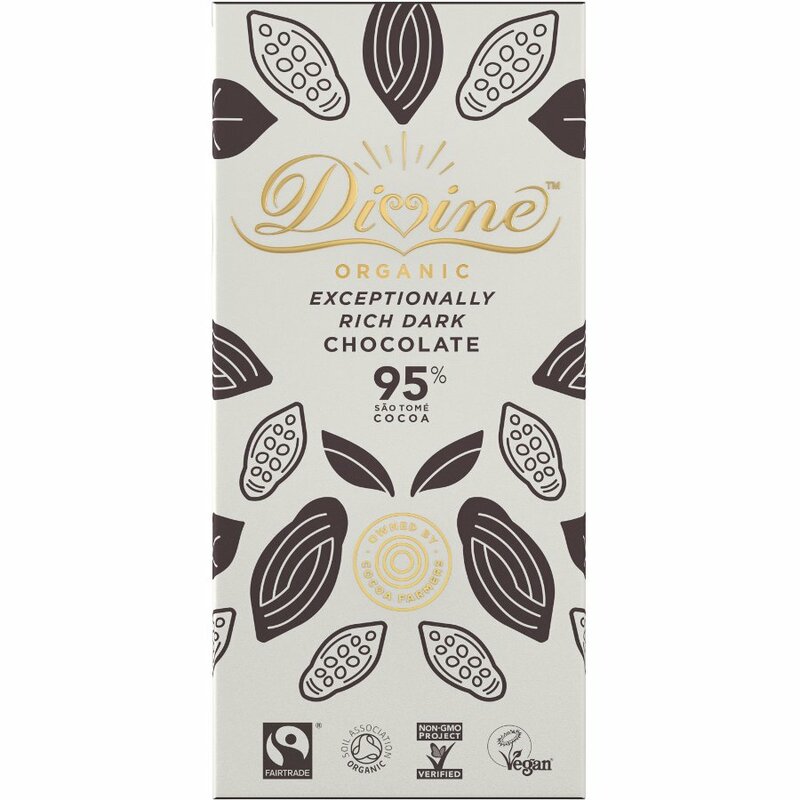 You’ll find the FairTrade label proudly printed on each Divine chocolate bar; supporting ethical and sustainable work practices with the chocolate trade. Cocoa mass*, cocoa butter*, sugar*. *From organic agriculture, certified by DE-OKO-013. MAY CONTAIN: milk, cereals containing gluten and nuts. There are currently no questions to display about Organic 95% Dark Chocolate Bar - 80g.